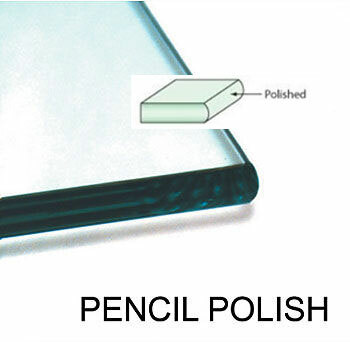 An example of Pencil Polish edge-work on a glass shelf, this finish can also be used on glass tabletops! Glass shelves provide a unique and modern home storage and organization solution. Whether you want to place glass shelves into an existing bookcase or you want to mount a glass shelf against an empty wall for more display and storage space, National Glass can provide you with a multitude of options. While most glass shelves are 1/4” thick, we can also make them 3/8", 1/2" and 3/4” thick with a variety of edge-works. Using special glass brackets, we can mount shelving to a multitude of surfaces to create custom wall displays, custom bar shelving, and custom storage solutions. If you are looking for a way to implement a modern and unique glass shelving design, our experienced personnel can make your wishes come true. Call us today to discuss your needs and what National Glass can do for you!